Eviction in Arizona is the legal process used to remove a tenant from his residence. This is the only way that a tenant can be forced to leave the premises--a landlord cannot do it through harassment, making the household unlivable, or threatening the tenant. It gets complicated when the person to evict is a live-in partner. There is one situation where eviction is possible. If the live-in partner is not on the landlord's lease, he is considered to be a month-to-month subtenant. This situation applies if she has a lease with you, a verbal agreement, or no formal agreement at all. If there are no lease provisions covering this circumstance, and the partner is on the lease, there is no way to evict him. Serve your partner with a written notice to vacate the property. You prepare and deliver the written notice. You do not file it through the courts. The written notice includes the reason for eviction, the date to quit the property, and any way the tenant can cure (fix) the situation. Arizona has the following required notice periods in the Landlord-Tenant Act: five days for non-payment of rent,10 days for lease violations, or 30 days for ending a month-to-month lease. File an Unlawful Detainer lawsuit if your partner remains in the home after the notice period. This suit is filed in the Arizona Justice Court that has authority over the rental location. A suit larger than $10,000 is filed in Arizona Superior Court. The court clerk provides all forms to fill out for the eviction complaint, typically a complaint and summons form. Bring copies of the lease agreement, if there is one, and the written notice. Hire a process server, ask a constable, or have a friend over age 18 hand-deliver the hearing summons, or post it on the property and certified-mail it. The process server files out a affidavit of service to prove it was delivered. Show up at the proper courtroom on the hearing date. You may want to arrive early to see how other eviction cases go. If your partner does not show up, you will be awarded the eviction order. A default judgment for back rent may also be awarded. If your partner shows up, prepare to calmly explain your reason for eviction, and provide copies of all information to back up that reason. File for a Writ of Restitution if your partner does not leave the residence six days after the hearing. A judge may have entered a pending writ at the hearing, or you go in to file it yourself. A sheriff or constable arrives at the property to execute the writ. The subtenant is removed, as well as any personal property. The constable also watches you change the locks if need be. Garden, Tiffany. 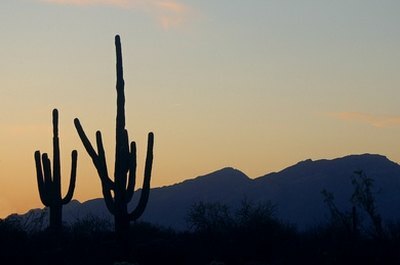 "How to Evict a Live-in Partner in Arizona." , https://legalbeagle.com/6548416-evict-livein-partner-arizona.html. Accessed 19 April 2019.